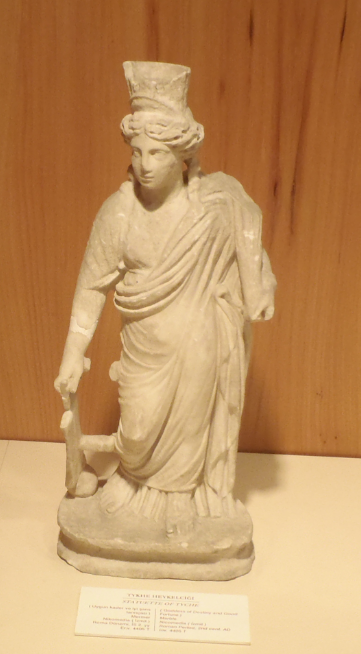 Marble statue of Tyche (Goddess of Cities and Fortune) in the Istanbul Archaeology Museum (Constantinople). Notice the mural crown she wears and the rudder she uses to steer the fate of the city. This statue was found in Nicomedia, present day Izmit. Roman Period, 2nd Century AD. (Istanbul Trip, January 2012).